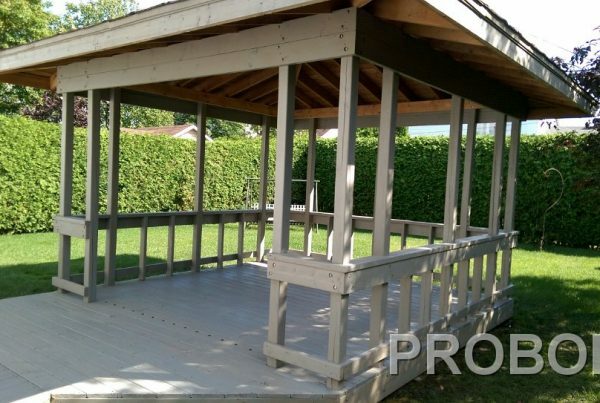 Garden furniture maintenance and restoration : PROBOIS knows it! Always popular, garden furniture made of wood is without a doubt the height of relaxation in the summer. Often expensive, the good maintenance of garden furniture is more often than not a neccessity rather than an option. Also, since we are in direct contact with the material it’s important that it remains clean. 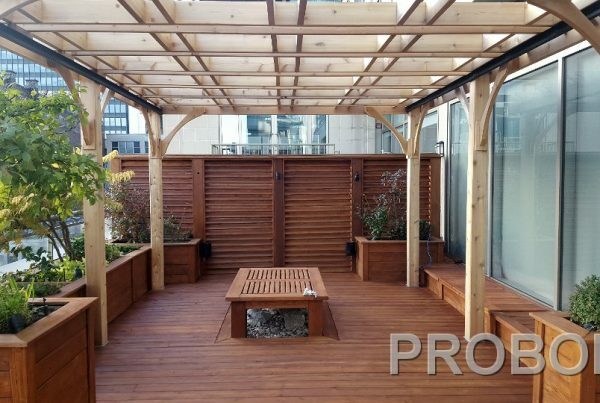 More and more popular in Quebec, teak garden furniture is prized for its beauty, versatility and great durability. Teak is an exotic wood, very dense and imputrescible. These two characteristics combined makes teak the perfect material to creature garden furniture. Since teak contains very low level of humidity it will not develop any mold. Thus, even without any maintenance, the actual structure of the wood will not deteriorate with time. That is to say, the teak will retain its original characteristics and durability. These qualities are perhaps the most important because they allow the garden furniture to remain fonctionnel even after years of use. Even though teak is imputrescible, it will eventually become greyish with time if it is not adequately protect from the sun. 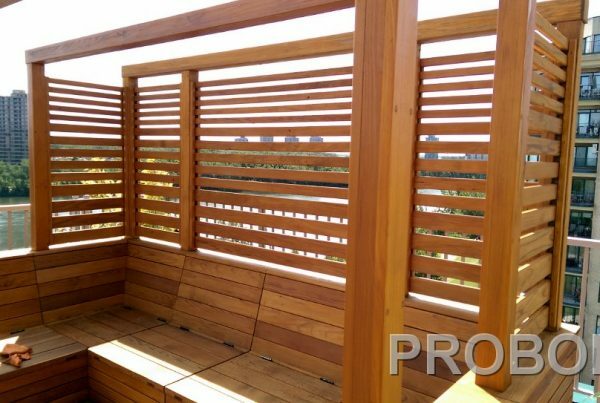 Thus, to better protect the wood it is necessary to apply a product that will counter the rays of the sun and prevent dirt accumulation. To do this we have to apply either a lightly colored stain followed by a sealer or an oil. Maintenance of teak has to be repeated every year to facilitate next years maintenance. Waiting too long between maintenance will simply increase the time needed to restore it during the next maintenance. Expensive because of its rarity, teak deserves to be highlighted. 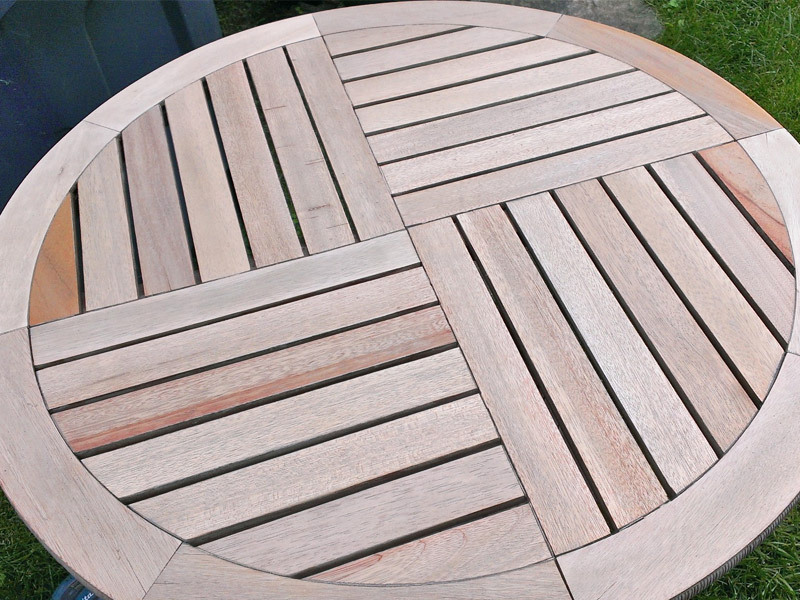 Maintenance your teak garden furniture will prevent any premature replacement of pieces of your furniture. For example, oiling the teak regularly will protect the metal parts of the furniture and protect them from oxidization. We pick up your furniture from your home and bring it to our shop. We wash it with a wood cleaner and a brush. We neutralize the wood with a brightener. Once dry, we sand the whole furniture to open its pores. We deliver back your furniture at your home. We offer a storage service for teak furniture : We come pick up your furniture in autumn and deliver it back to you in spring, after we’ve restored it. New furniture : A simple wash with a pressure washing machine at low pressure with the help of a mild soap will do the job for new furniture. Grizzle furniture : First, we clean the furniture with a mild soap made for wood and a brush. Then we rinse the furniture to remove any remaining cleaning product. Furniture that has already been treated : A simple wash with a pressure washing machine at low pressure with the help of a mild soap will do the job for furniture that has already been treated. Oftentimes we apply natural oils on garden furniture that we are maintenaing or restoring. Easy to apply, the natural oil will accentuate the beauty of the wood of the furniture. Maintenance : One coat every year will revive the wood of the furniture in its entirety. However, it is necessary to prepare the surfaces well for re-application of the product. We sometimes prefer to use translucide stains on some garden furniture projects. Indeed, some furniture, for example, those made of cedar and pine, can be enhanced by translucide stains. 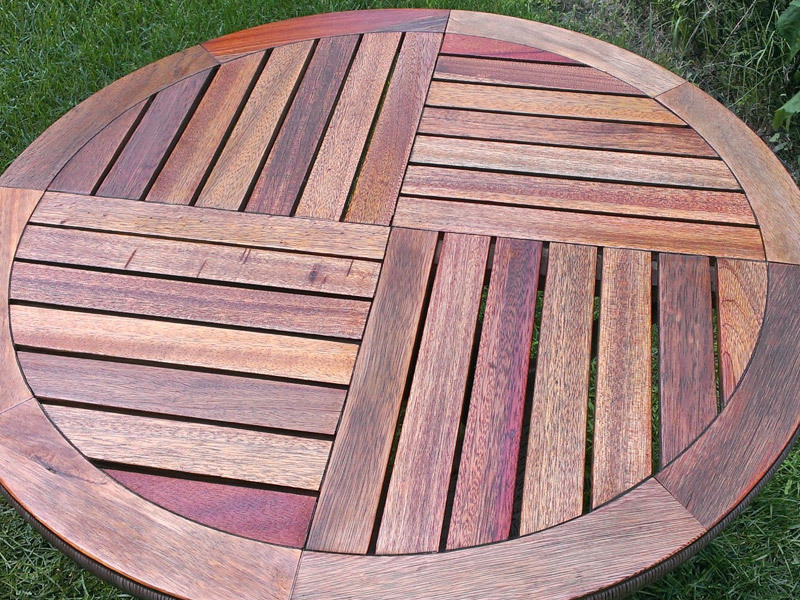 Thus, a ”teak” stain on garden furniture made of pine can give it a unique aspect while at the same time protecting it. 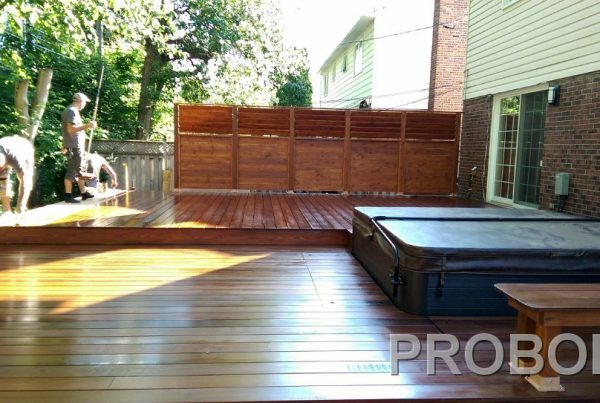 Always done in two steps, the translucide stains that we use need a coat of sealer after the stain has been applied. Maintenance : One coat of sealer every one to two years must be applied to revive the garden furniture. Since the furniture gets worn out unequaly, a yearly maintenance will revive it uniformely.